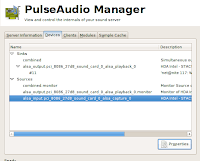 The new Skype 2.1 supports Pulse Audio, which means that you should be able to use skype much more easily under Ubuntu. Here's how you set up the microphone to work. Install the newest version of Skype for Ubuntu that you can. 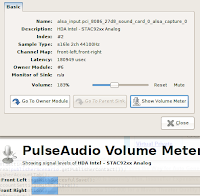 Show the volume meter to make sure that you can here sound coming from the mic. You may need to "boost" the mic by bringing the volume past 100%. 180% seems to work well for my Dell D620.